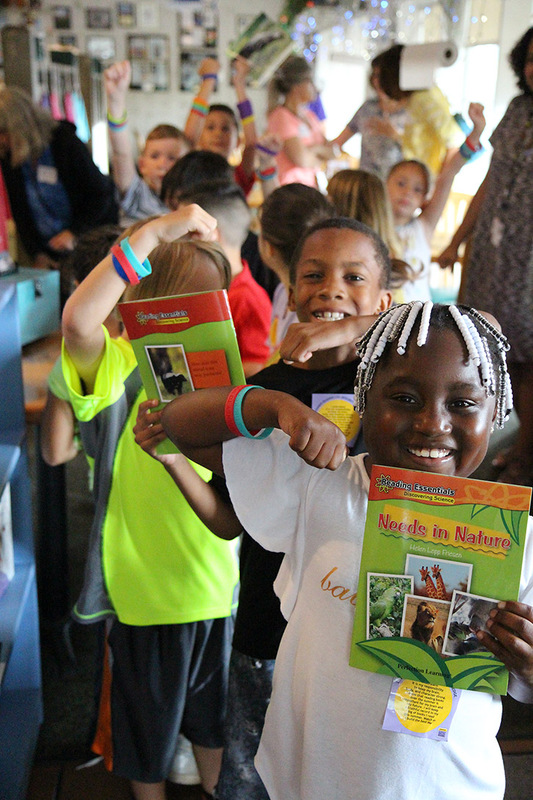 The Suncoast Campaign for Grade-Level Reading received broad recognition at GLR Week in Philadelphia, the nation’s most significant..
We cannot believe that Week #2 of Dive Into Reading is already over, and..
As Martin Luther King, Jr. said, “Life’s most persistent and urgent question is, ‘What are you.. Dive into Reading has officially begun! 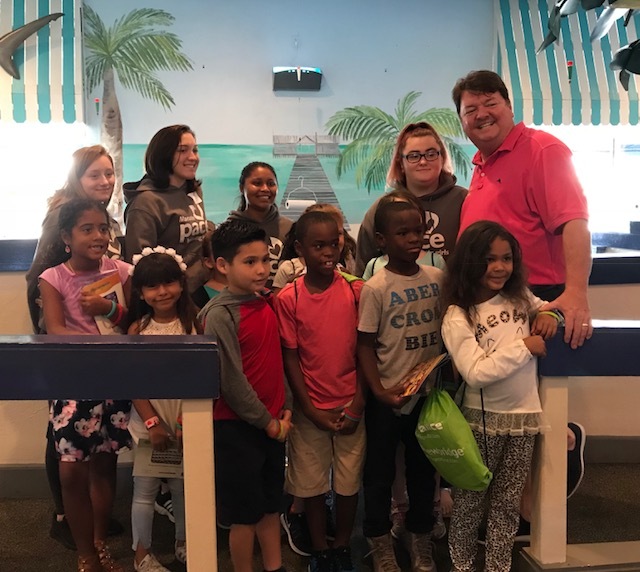 With Dive into Reading kicking off into full gear this week – we can’t help but give a BIG THANK YOU to everyone involved for the..
BRADENTON, Fla. (April 17, 2018) – Anna Maria Oyster Bar received the 2018 Restaurant Neighbor award in recognition of their efforts to..
We are thrilled to announce that our Dive Into Reading program is returning this June with more locations and more kids! The Anna Maria..
Each year, we try to recognize a special group or organization for our annual holiday dinner party. 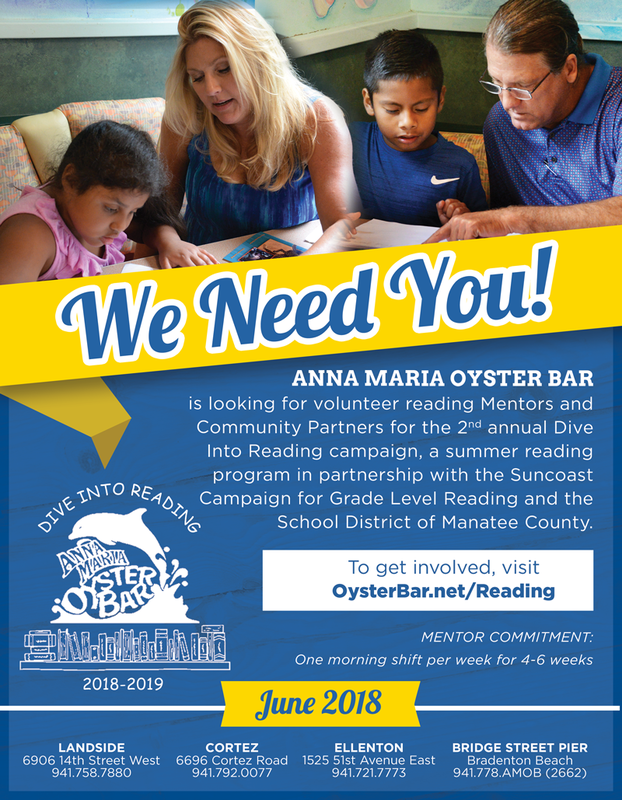 This Christmas, we wanted to invite..
As part of the Anna Maria Oyster Bar’s continued commitment to promoting grade-level reading, John & Amanda Horne were invited to visit..